This is a roleplaying forum where an organization called Followers of Fatalis is controlling monsters to further their own agendas. Will you be a hunter to defend your town, or be the ones attacking the town. Your life is entirely up to you. 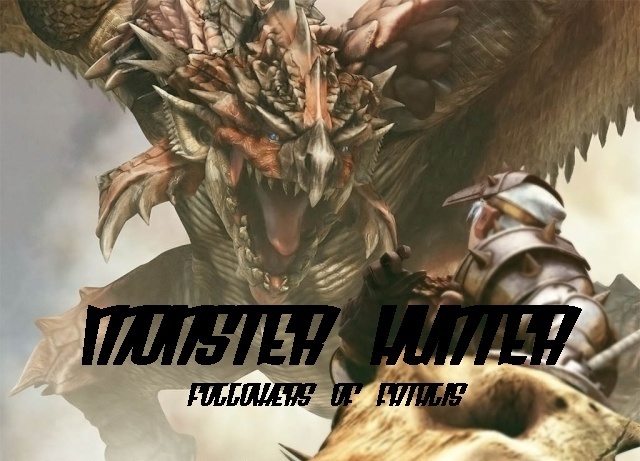 This forum is based off the "Monster Hunter" series. All sources originated from the "Monster Hunter" series are intended to retain as much of the original creation as possible. original creations are intended to be original and is not intended to influence the actual "Monster Hunter" series. Size: Slightly larger than its lagiacrus cousin. Description: Thirty feet longer than the average lagiacrus, it is a Mythos dragon closely related to the lagiacrus. It has dark green scales, with purple eyes. It has thick, serrated claws, and a large, jagged horn protruding from its head. The horn is used to hunt its prey, and is prized by hunters the longer it is. Attacks/Tactics: It uses its horn to gore its prey. It excels in claw to claw combat, and when its enraged, its horn glows red and becomes super heated. May shoot waterproof balls of heat capable of boiling water.